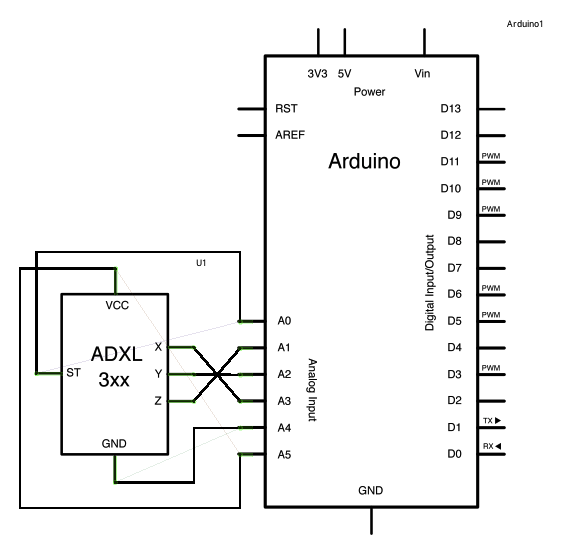 This tutorial shows you how to read an Analog Devices ADXL3xx series (e.g. ADXL320, ADXL321, ADXL322, ADXL330) accelerometer and communicate the acceleration to the a personal computer. 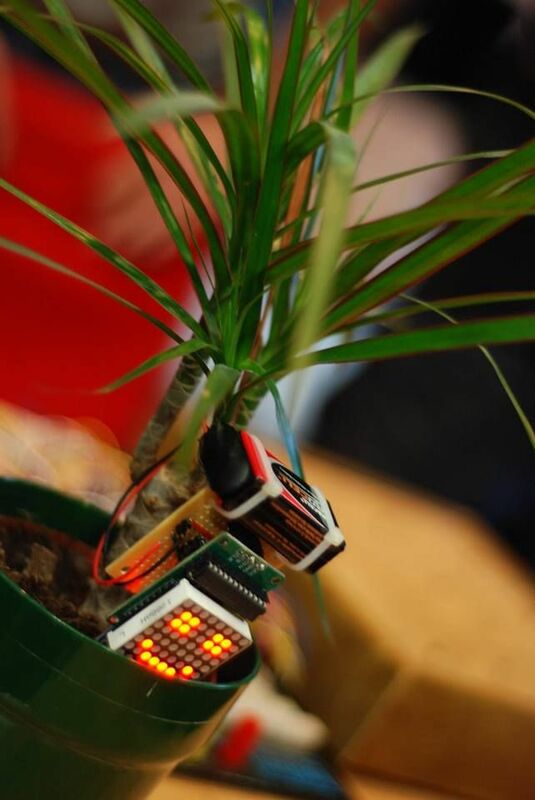 The accelerometer uses very little amperage, so it can be plugged into your Arduino and run directly off of the output from the Arduino’s digital output pins. To do this, you’ll use three of the analog input pins as digital I/O pins, for power and ground to the accelerometer, and for the self-test pin. You’ll use the other three analog inputs to read the acclerometer’s analog outputs.